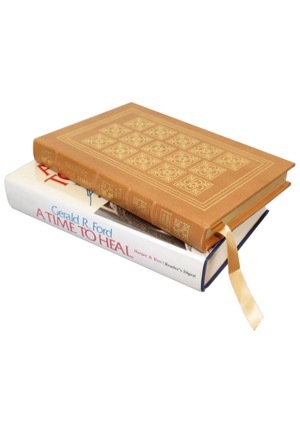 “A Time To Heal” an autobiography of Gerald Ford and “Sharing Good Times” by Jimmy Carter hardcover books. The appropriate Presidents signed their books in blue or black ink and in our opinion both signatures rate a near 9. 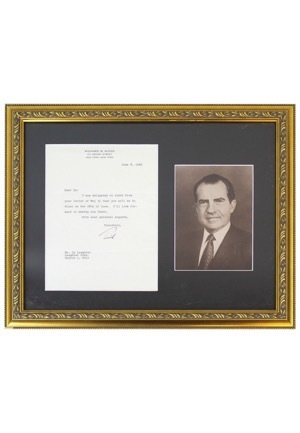 A framed 17x14” typed letter from President Richard Nixon dated June 8, 1966 that states he is looking forward to seeing a friend at an event. 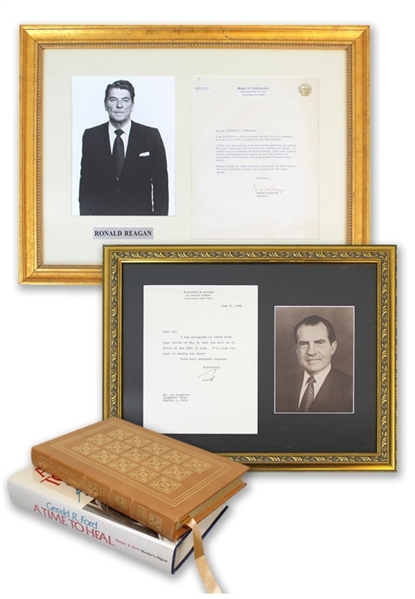 Nixon signed the bottom in black ink and in our opinion the signature rates an 8. 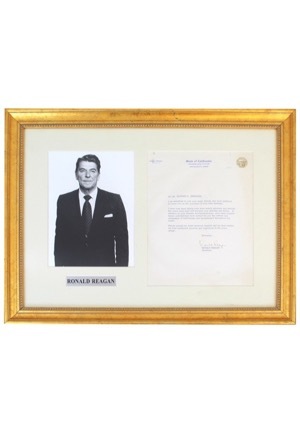 Also a 22x16.5” framed typed letter from President Ronald Reagan dated in 1971 to Dr. Howard E. Kershner. 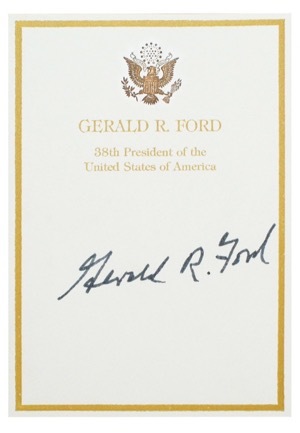 Reagan signed the bottom of the letter and in our opinion the signature rates a near 8. Accompanied by a LOA from JSA.